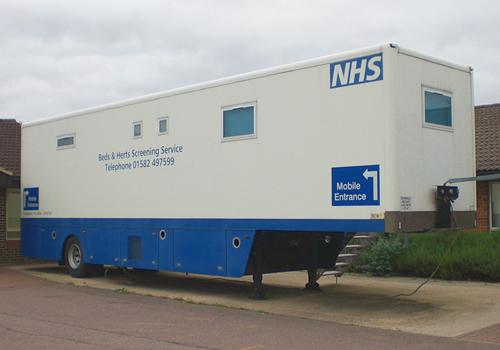 Screening for Bedfordshire and Hertfordshire women takes place at our centre near the Luton and Dunstable Hospital and at a number of mobile screening units. The mobile units move around the 2 counties staying at each site for a few months. You will normally be invited to a location within the area of your GP’s surgery. If your invitation is not at a convenient location then please let us know and we can arrange an appointment to an alternative location where we are currently screening. Just complete the change your appointment form and we will rearrange it for you. You have mobility problems or difficulty in climbing up steps. Have had a mammogram in the last 6 months. Please telephone us to rearrange an appointment for you at our Centre in Luton on 01582 497599. If you require patient transport to our centre please call the Transport service on 01603 481208 to arrange.